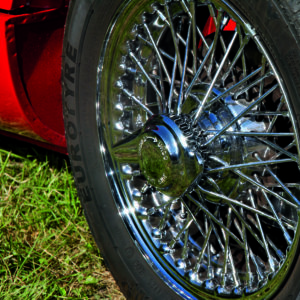 Polytrol is a deep penetrating oil which restores the original colour and appearance of dull or tarnished plastics, gelcoats, metals, and other surfaces. 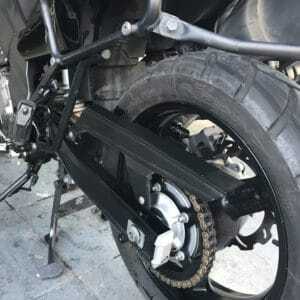 It penetrates the surface, re-wetting the pigments to restore their lustre and colour which has been lost through exposure to sunlight, rain, and pollution and it also gives corrosion protection. 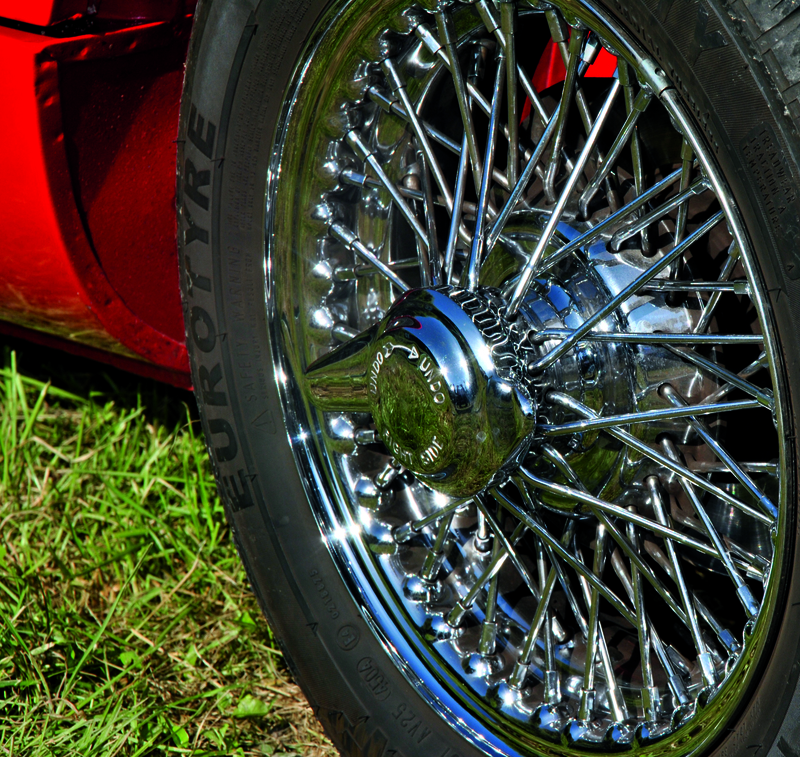 When used on tarnished metals, it brings back the shine and gives long-term protection against corrosion. Simple to apply using a cloth or soft brush, it’s ready to wipe off in just 10 minutes! It can be used on both horizontal and vertical surfaces and can even be used on fibreglass (GRP). 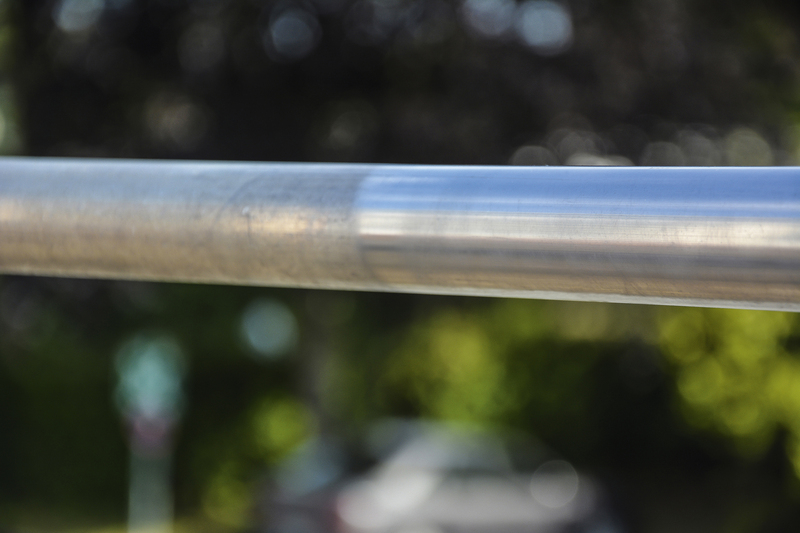 Polytrol dries to a tough and long-lasting flexible finish which does not leave a film – so it won’t peel or flake. Polytrol is now available in a handy 250ml spray can, great for quick application and difficult to reach areas. Please see the directions for use to find out how to apply it. 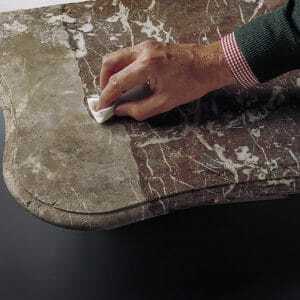 Brightening the surface of tiles in stone, terracotta, marble, slate, etc. DO NOT use Polytrol on white surfaces, it will not work as Polytrol is designed to restore pigments. Always read the Polytrol Product Information before using and follow the instructions carefully. All surfaces must be clean, dry and free of dirt, grease, grime and mildew. All waxes, polishes, silicone etc. should be completely and thoroughly removed. Treat any mildew with a 50:50 bleach and water solution. Scrub the solution on to the surface and allow it to stand for 10-15 minutes then rinse thoroughly. Using Polytrol on plastic, gelcoat, tiles, painted surfaces etc. Clean the surface with warm soapy water or Net-Trol, rinse thoroughly and allow it to dry for a minimum of 24 hours depending on surface. Using Polytrol on stone, brick, etc. Clean the surface with Net-Trol, rinse thoroughly and allow it to dry for a minimum of 24 hours depending on the surface. Clean the surface with warm soapy water and rinse thoroughly or use an appropriate solvent (follow manufacturer’s instructions). 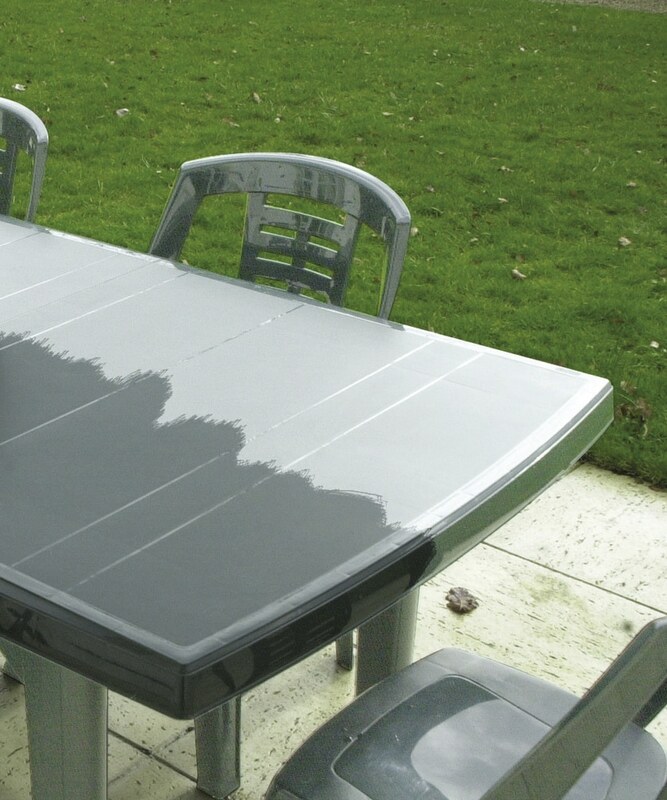 Leave the surface to dry for a minimum of 24 hours. Always work in areas that can be completed 10-20 minutes to ensure an even appearance. If the surface absorbs the Polytrol unevenly (i.e. some matt and some shiny patches) move any surplus oil from shiny areas to matt areas. Wipe off any excess Polytrol with a lint free cloth before it becomes tacky. 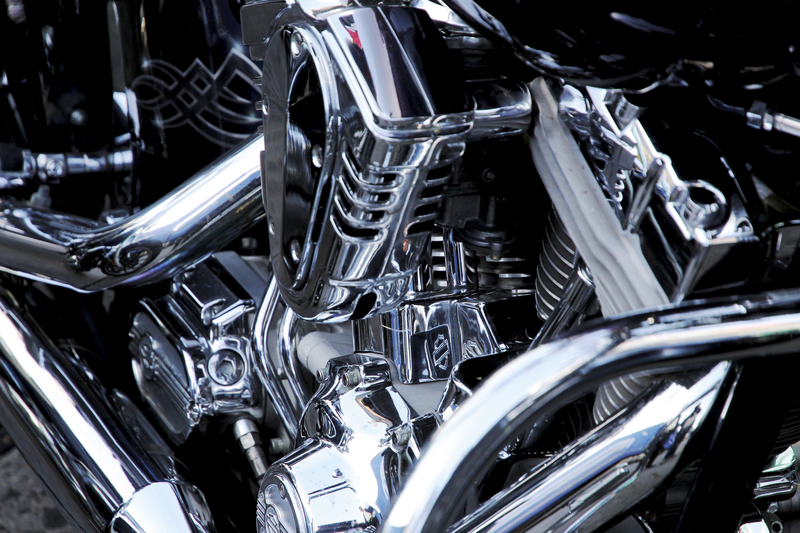 For a shinier finish, buff the surface with a lint-free polishing cloth. When using the Polytrol 250ml spray can, simply spray on liberally, wipe off any excess and leave to dry. Applying Polytrol to plastic, gelcoat, tiles, painted surfaces etc. Apply Polytrol liberally and evenly with a brush or cloth. Allow it to work for 10-20 minutes. Wipe off any excess with a clean lint-free cloth. Leave it to dry. Applying Polytrol to stone, brick, etc. Apply Polytrol liberally and evenly with a brush or cloth and leave it to work for 10-20 minutes. Brush out or wipe off any excess Polytrol with a clean lint-free cloth. Leave it to dry. Apply Polytrol using a fine wire wool (000 grade) soaked in Polytrol and allow it to work for 10-20 minutes. Wipe off any excess Polytrol with a clean lint-free cloth. Leave to dry. Note: Polytrol is not a surface coating. Its place is in the surface, not on top. Maintenance is due when a Polytrol treated surfaces shows signs of fading. Prepare and re-treat surfaces as directed above. Clean any tools used with white spirit. Polytrol is non-flammable, however any rags, steel wool etc. soaked in Polytrol may spontaneously catch fire if improperly discarded. Rags, steel wool etc must be saturated with water after use or placed in a sealed, water filled metal container, before disposing of them with household waste. Rags may be laid flat and air dried before discarding. Cover and protect everything you do not wish to treat. Apply between +5°C and +35°C. Do not apply in direct sunlight or on to hot surfaces. Do not allow excess Polytrol to dry and create a film on the surface (always remove excess product). Do not use Polytrol on white surfaces. I was very sceptical about all the positive reviews of Polytrol when I found the product on the internet. I was contemplating having to replace my composite rosewood effect front door because it looked so chalky and faded. 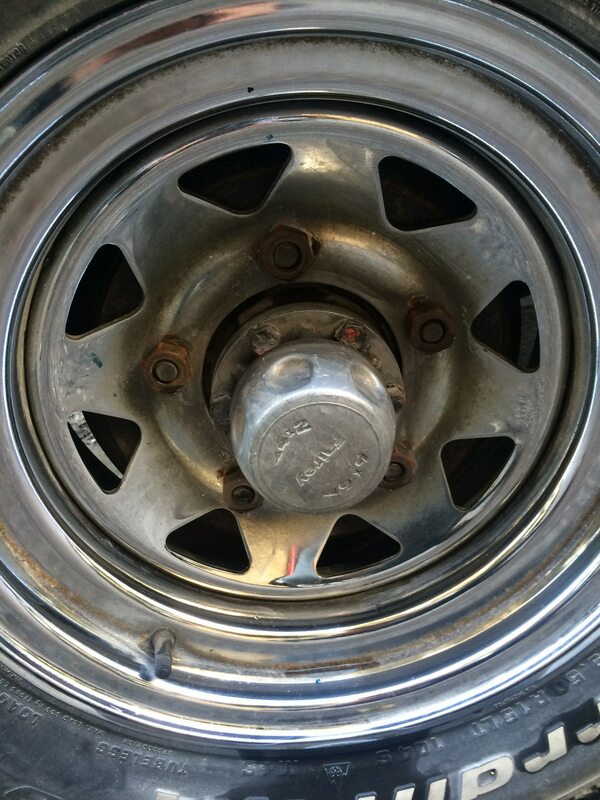 I had tried all sorts of products to try to restore the original finish but none worked. As a final try, I decided to buy some Polytrol. The product is easy to apply by brush but don’t let it dry for too long before wiping the surplus off with a lint-free cloth. I must say that the positive reviews were justified and my door looks almost like new and I’ve got plenty of Polytrol left for when it needs re-coating. Recently noticed that my Brown Composite Front door was becoming very “Faded” in the recent sun. Asked the original supplier for any tips to restore the colour and got no help at all. Having trawled the net I found Owatrol / Polytrol and gave it a try! Almost like magic the colour was restored in no time at all so I can highly praise your product for a quality result with minimal effort and no “Glitches”. a sorry state. After treating with Polytyrol it now looks as good as new. It’s black magic!! I painted one coat onto a composite plastic mahogany door badly faded by sunlight, and it looked better than new. Took about 30 minutes, including the masking up. Couldn’t have been easier. Our mahogany composite front door(south facing) was ten years old and just out of warranty….although I don’t think the company would have replaced it….and was quite badly faded. However, the door company recommended Polytrol and like other reviewers I wasn’t willing to pay almost £2000 for a replacement !!!! Followed the instructions and it worked. The neighbours thought we had a new door. Most impressed and hope it will last as the sun can be pretty strong ….. am I able to redo at a later stage if it starts fading again ?? Thanks for saving me a lot of money !!! Thank you for your kind words – we are glad to hear you had such a positive experience with Polytrol. You can re-apply Polytrol if the surface stars to fade again. Simply clean the area, wait for it to dry and then re-apply the Polytrol in the same way you did before. Really happy with the results. The plastic is still looking fresh after a month! Bought to revive colour to my ten year old black composite door. Worked amazingly ; looks like new. Would definitely recommend and purchase again. I was recommended to try this on my Morgan….it has red grp wings which had really faded. 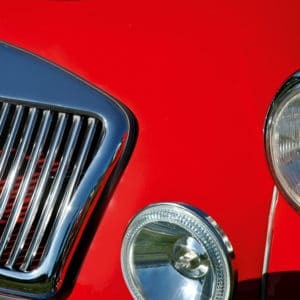 Having used Polytrol, it has totally changed my car: which is now a nice even red, and shiny! I have had some great comments from folks. Thanks Polytrol! Brilliant. This has restored my 11 year old and much faded Composite Red Door back to its former self. So easy to apply and so little required to complete the job. I will be buying this in future for any faded paintwork. I was a little apprehensive when applying this to the door but no need it went on easily and I followed the instructions and buffed it down with a lint free cloth and hey presto! I have what looks like a new door. Wow – not sure what more we can say. Very faded brown guttering, downpipes and rosewood UPVC windows, rang as I was not sure of the product and spoke to Ken. Great advice and sample pot arrived 24 hours later. 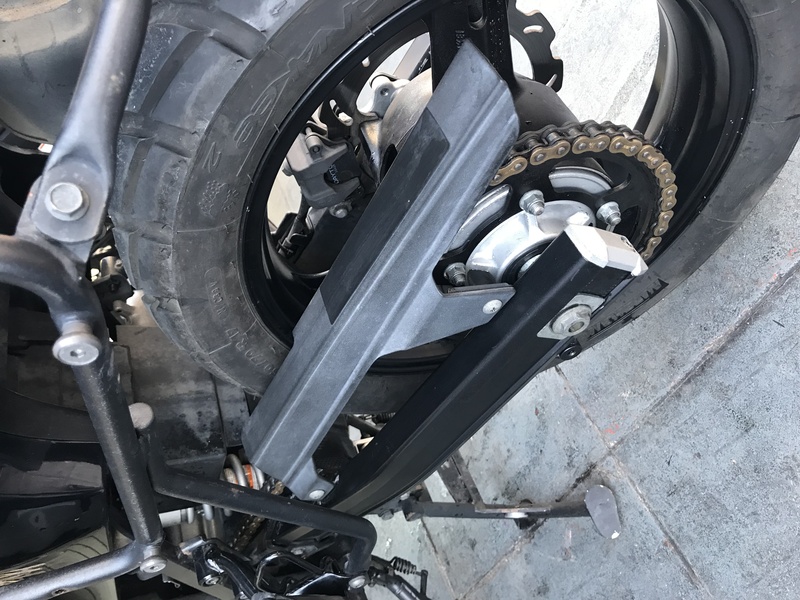 Still a little nervious, tried it on one downpipe and all we can say is WOW! This stuff really works and so what if it’s magic – the results speak for themselves. I love using this to make my car trims and bumpers look like brand new. I had a very faded 10 year + composite front door and was about to buy another door for which I was quoted over £1000. 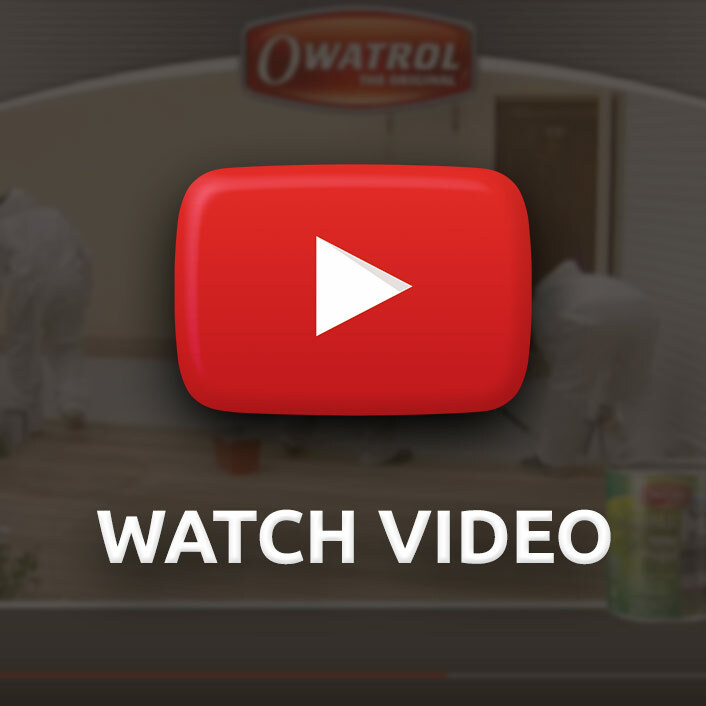 I searched the Internet for any product that would enable me to paint the door over temporarily to make it look a little better for a while and came across Owatrol Polytrol. I was very sceptical of all of the reviews as I did not think that there was any product that would do the job and could be as good as the reviews stated. How wrong I was. I purchased a 1/2 litre tin of Polytrol thinking that it was worth a try (anything was better if it worked rather than spending over £1000). I washed the door down as per the instructions, let it dry overnight and painted on the Polytrol wiping off any excess as I went. The results were fantastic and all of my neighbours have asked where we bought our new door from. I would certainly recommend this product to anybody . Well done Owatrol. A fantastic product that does what it says on the tin. Brilliant product. 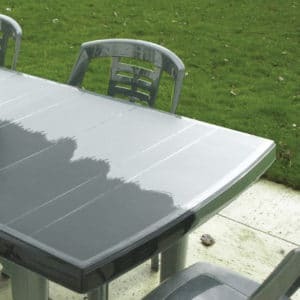 Tried many others over the years to try and keep my outdoor table looking good and this is the one that does the job – fantastic. 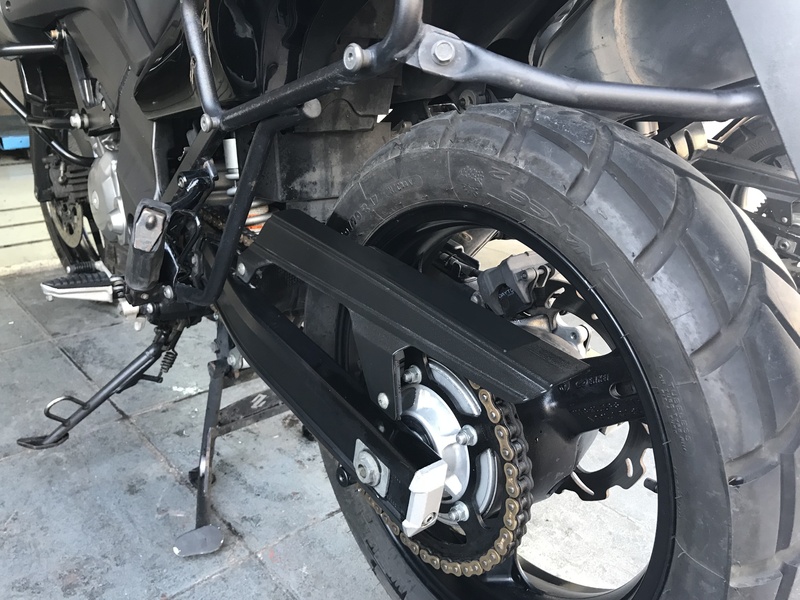 No hesitation in recommending the product, very easy to apply. Will be buying more. 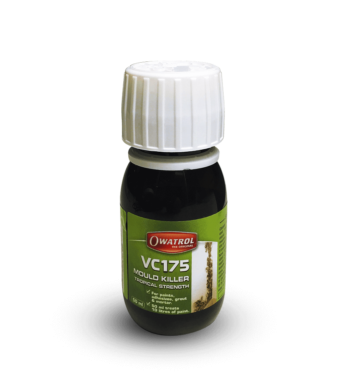 Excellent product, Used on south facing woodgrain upvc porch…. came up like new !!! Great stuff. We bought the 500ml tin and after using it on our garage door, house front door and the down pipes of our conservatory we still have quite a bit left over. The results are nothing short of breath-taking. Really turns the old into new again. Not sure how long the effects will last, but for the price I am very satisfied. Thank you to clever people who made this. My black front composite door had faded in the sun. Only when my next door neighbour got a new one that I realised how bad mine had got. Went online and found owatrol – after reading reviews I thought I’d give it a try / nothing to loose. Thank god for your product !!! It’s fabulous – easy to use – in fact my front door now looks no different to my neighbours brand new one. Definitely highly recommend it. All my gutters and downpipes were faded and shabby looking and the cost of replacement would be high. I have now treated them all and they look really great. I keep boring my friends singing your praises. Brilliant would highly recommend this product for restoring really faded green caravan decking! Just got an old paintbrush and brush it on..I find the best results were leaving it on, it dries in brilliantly, the difference between the decking with and without oil on is highly impressive! The colour really does come back! Can’t praise this product enough! Only bought the small pot and will now buy more to finish the job! This product is brilliant. This is my second order for it. 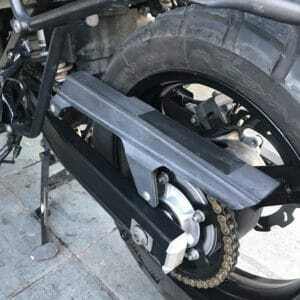 I use it to restore the faded plastics and rubbers on my motorcycle restorations. Have also just started using it on some of the metal components. 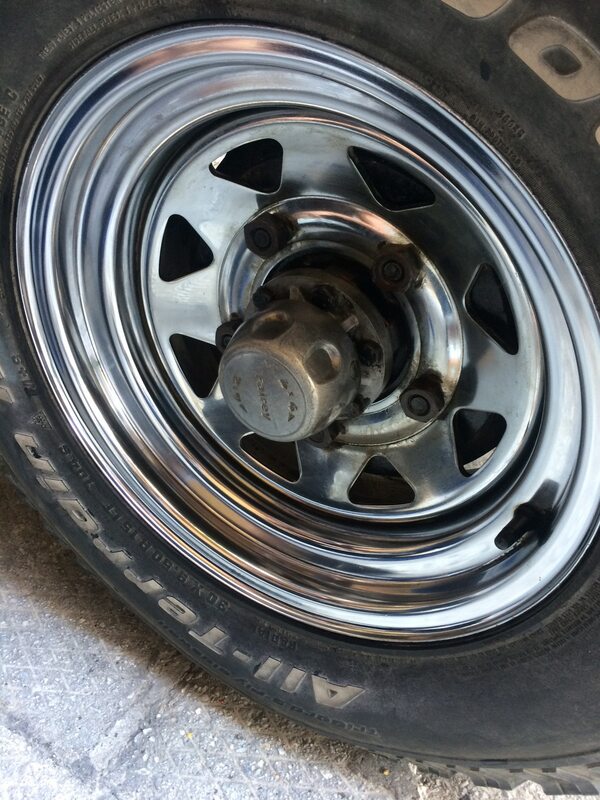 Brings them up to like new finish. Used this on the plastic bumpers of my other half’s horsebox. Worked a treat – in fact it’s the first time since new they’ve looked so good. Having just read the previous comment that it also works on gel coats I might try that one the main lorry bodywork too! Thank you for your review of Polytrol. We are glad you had a great experience with it. 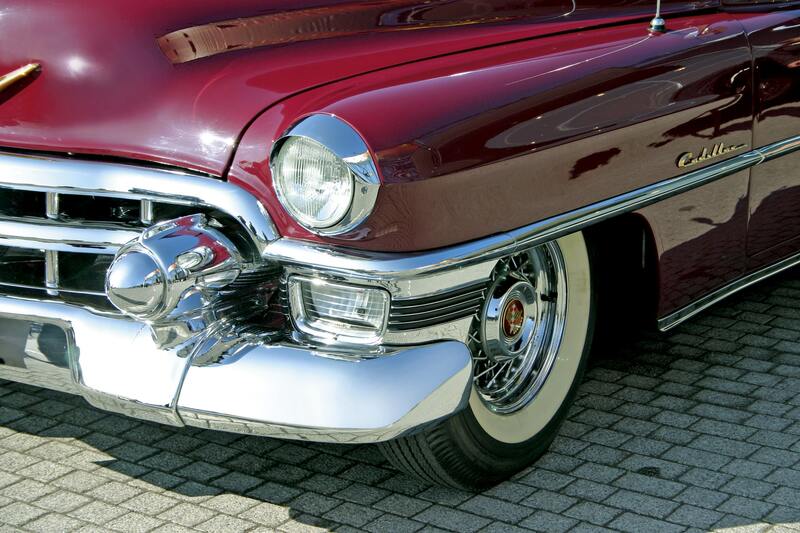 Yes indeed Polytrol can even be used on gel coats – it really is an amazing product that can revive and restore almost any surface back to its former glory. I agree completely with all the other reviews. I was so fed up looking at our what used to be shiny, black composite door, now dull and faded. I left the product on for a bit longer than was recommended for best results. Definitely be recommending this product to friends and family. Thank you so much for your review on Polytrol – we are glad you had such a good experience using it. If you have any before and after pictures, we would love to see them and share them on our social media pages. Absolutely amazed at how this brought our door up. We have a red composite door, my hubby decided to clean it with kitchen cleaner with bleach in it. It took the shine off and the patches where he had scrubbed looked terrible. Took him just a few minutes to redeem himself by applying Polytrol. A little went a long way and still have plenty left should he decide to clean anything else with bleach !! The door looks better than new, so pleased I tried this before having to replace or repaint the whole door. Thank You very much Polytrol. I used it to restore some red paintwork which had faded on my boat, and it appears to have worked well in restoring the colour. I will need to see how long the transformation lasts. Worked really well in restoring our faded GRP garage door and window sills, which had both been exposed to direct sunlight for 23 years. Used Polytrol on my faded composite door. Very impressed. Easy to apply and quick drying. I was contemplating buying a new door, the fading was that bad, but took a punt on Polytrol and it came up trumps. Being a different material the trim round the glazed panels on my green composite front door were very faded and it looked awful. I bought a £5 sample tin to try and it made such a difference. There was enough left to go over the complete door and the result is fantastic. Very quick delivery, product excellent, but has started to fade after 3 weeks , will give the door another coating . Thank you for your comment regarding your experience with Polytrol. We are sad to hear that you are experiencing fading after such a short period of time. We would suggest that when you re-apply that you leave it on the surface for a little while longer – the recommendation is to allow it to work for between 10 and 20 minutes. 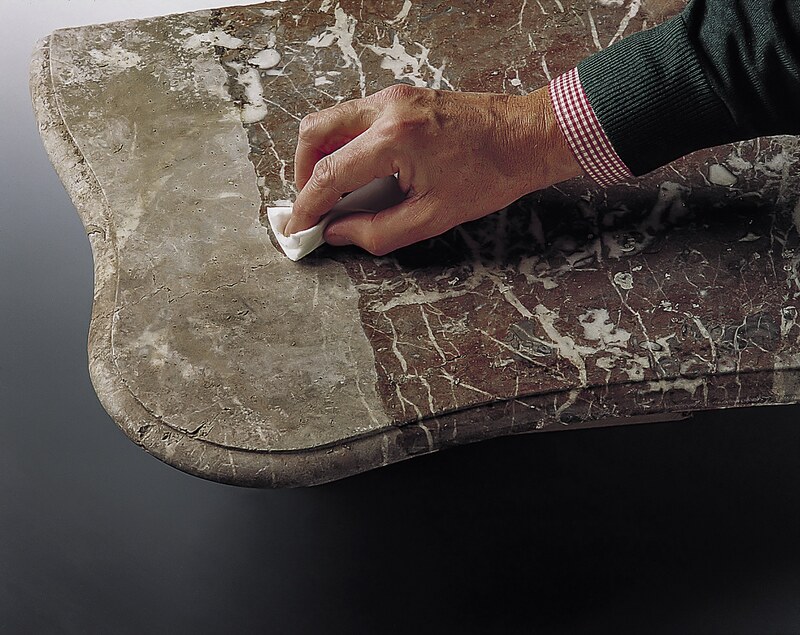 Perhaps leaving it on the surface for closer to 20 minutes will give you the desired finish that you are looking for. I hope this was helpful – please don’t hesitate to contact us should you require assistance. My front door had been badly faded by the sun and really didn’t think there was anything on the market that could bring it back to life. I read the reviews and was dubious it would work so bought the small 500ml tin and really didn’t need that much as it is a liquid and a small amount goes a long way. Once applied I can honestly say the door now looks like new. I can thoroughly recommend this product but do wish it could have been purchased locally rather than having to buy online and get delivered. Really good product brought my alloy garden furniture up like new. Have provided Wyevale garden centre in Huntingdon with the details as they were not aware of the product and were unable to provide details of any other product to refurbish the furniture. Satisfied and impressed with the whole process . Finish is excellent, well above expectation. I estimate that we saved over £1500 by not buying new garage doors. Unbelievable….. I thought i would have to but a new front door, as my dark green upvc door had become milky and very unattractive. I gave it two coats of owatrol and people ha e been asking me if I’ve had a new door. With two coats I got a deep glass shine and the original colour back. I then couldn’t help myself and ended up doing the garage door to match as well. A truly brilliant product …. I never review anything, but am astounded at how good this is and how easy and clean it is to apply. I have just used Polytrol on my UPVC front door and the results are amazing. The colour has completely been restored and has a great sheen. 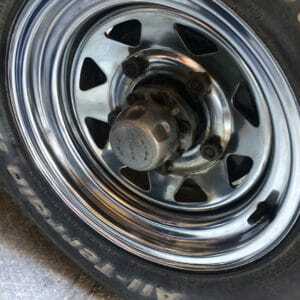 So easy to apply, I did not have any trouble using the product. Would recommend it to anyone. Bought Polytrol to bring back the original dark brown colour of down pipes and guttering. Was looking into replacing with new at great expense, no need Worked like magic ! Looks like new! I purchased polytrol to try and revive my black composite front door. The door was looking dull, had a lot of fine scratches and a couple of really prominent scratches. I have to say the results are astounding ! My door looks almost new again. All the fine scratches have disappeared and the two bad ones are considerably improved. 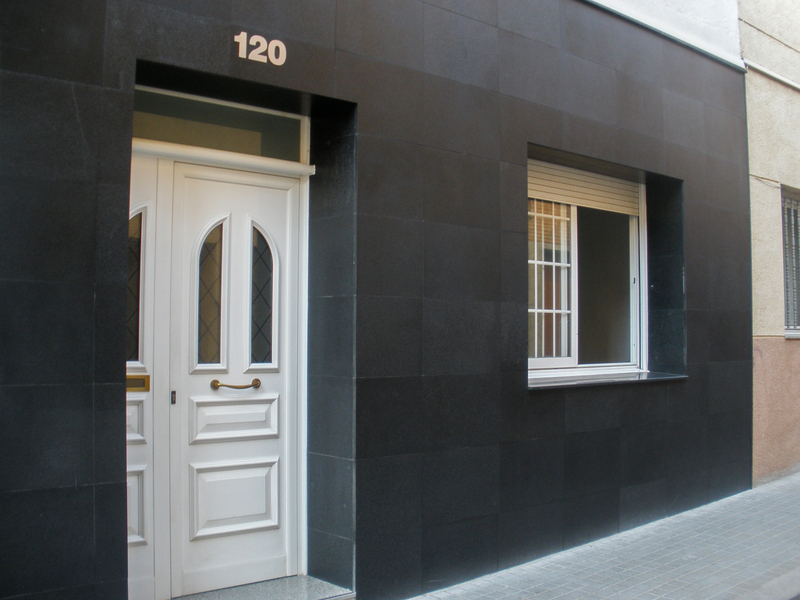 The door looks glossy and deep black again. Plus I still have plenty of the polytrol left to use again. I would definitely recommend this product. I’m so pleased with the results. I was pretty sceptical about this product have tried numerous stuff claiming amazing results. However I have been really pleased with the results I’ve achieved so far. I will be using this in the future, and recommending to friends. Bought some Polytrol to restore the faded plastics on my 2001 Boxster. Lift the bonnet and it now looks factory fresh, and that’s several weeks after applying it. Also used to great effect on faded bumpers and trim on another car, huge difference to the appearance. 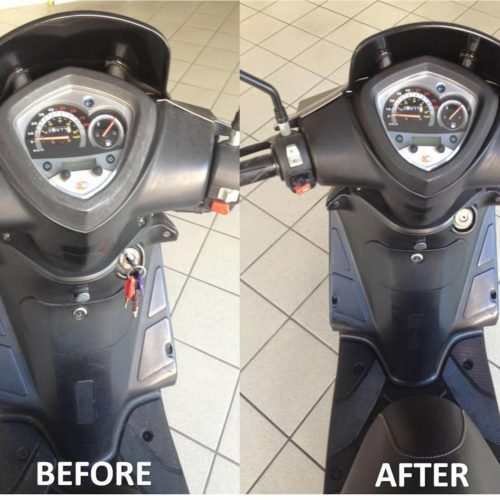 Miles better than any high street ‘back to black’ product! Thank you so much for your kind words. We are glad you had a great experience with Polytrol. Amazing! Our west facing 5 year old mahogany coloured PVC front door had faded badly and was quickly bleaching. We consulted the manufacturers who offered no solutions apart from a £2,000 replacement. With little to lose we tried Polytrol and were delighted with the instant improvement. The dark wood colour was instantly restored and the door looks like new. Excellent product,does more than what it says on the tin. Seventeen year old grp garage door, well neglected brought back to looking new. Excellent product. Easy to use. If instructions followed, result is fantastic. Faded GRP garage door looking like new again. A dull red upvc door now looks as good as new. Took me ten minutes to complete the job. Our neighbours think we have had a new one fitted. Also used it on dull brown guttering, again looks as good as new. Absolute miracle worker ! I have a red composite front door, only a few years old that had very quickly become faded, and dry looking, I had tried polishing it, washing it etc but it still looked awful, I was at the point of buying a new front door, when I googled the problem and found polytrol, I thought for the price I would give it a go before spending a fortune on a new door. I am so pleased I did, the door looks like new, its colour is restored and it has a lovely shine, I bought the 500ml and have loads left, I have also used in on the faded black car bumper /trim and that has been totally rejuvenated as well. I would highly recommend this product. Bought this for a black composite front door that had faded as it spend half the day in the sun. Door looks like new after one coat. Great product. Couldn’t believe it when I saw the pictures of the garage doors in the November Newsletter. They could have been mine. I have recently used Polytrol on similar doors with identical results with minimal effort. I have used Owatrol products for years so I know their quality but Polytrol has exceeded my high expectations. I recently used this product on my wood effect GRP garage door which is probably at least 15 years old. The door had gone dull & patchy. I have gone over it once & the result is excellent. There are still a few dull smears & although they hardly notice I will go over them again in case I wiped it off too soon. Generally the door looks new again & I hope it will last. I can highly recommend this product to others, I am unaware of any other treatment to recover a GRP door. Amazed at the results on a grp garage door though it did need three coats to remove cover some dry patches. Just one coat made brown plastic drainpipes look like new. it was delivered to my neighbour, and i wasnt left a note, so it was a week before i got it, but that aside it is an excellent product, i used it on my upvc window frames, wood effect that were looking very faded, and it is like painting a gloss finish on to them, really brought them back to life. We are sorry to hear that your order of Polytol was left with a neighbour and you were made unaware – sadly, this is out of our hands as we do not make the deliveries our selves. We are very glad that you had such a great experience with the Polytrol though, perhaps if you have any before and after shots you could send them our way? I used this product on my faded composite front door. The results were excellent! The door looks brand new. A fantastic product. Just finished covering a composite brown door. 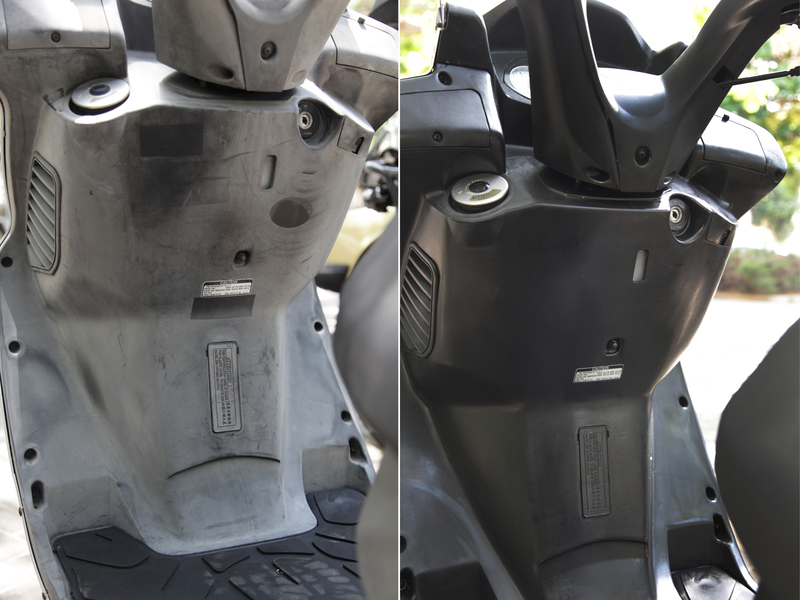 Cannot believe the difference – it looks brand new! If I could give this product a 10 I would. Thank you very much for your recent Polytrol review. We’re glad you had such a good experience. It does exactly what it says. Good product, def recommend to friends and family. I used it on my front door which is UPVC. It enhanced the colour and saved me from having to replace it with a brand new one. Bought sample pot to hopefully bring milky faded black grp door back to shine. The product has given the shine back to the door from a distance looks new again… but up close, I can still see the faded milky like appearance through the shine but that’s me being picky. Amazing product. I used it on my very badly faded upvc guttering and it restored most of the surface to virtually new. 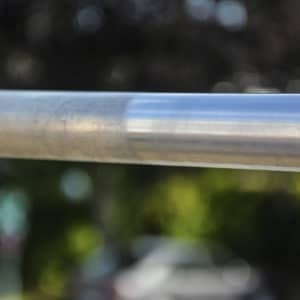 I also used it on the upvc sill to my front porch, the surface of which was badly and unevenly faded, in some places shiny and in other places matt and worn. I was going to try to cover this somehow with a upvc moulding but after using your product it now looks virtually new again and has saved me a job that I was not sure how to do. Glad I found your product. Used Owatrol on my front door. It was easy to use and did exactly what it said on the tin. Excellent product. Amazing stuff!!! My old UPVC Red front door was looking rather sad so after reading some reviews i brought a spray can of this stuff and WOW!!! My door looks like new. I cannot praise this stuff highly enough. Wanted to”refresh”my front door. Was really pleased with the outcome. It is easy to apply,goes further than I thought. Always a bit skeptical about products with wild claims, I thought a sample pot isn’t too expensive for a try so why not. It was to be used on an old vintage Lambretta, which had clearly lived outside most of it’s 57 yrs, and as a result the original cellulose paintwork had became very sun bleached. I’m not sure exactly what happens, but it did restore the paintwork back to nigh on factory colour and after 10 minutes as claimed. I applied with a clean lint free cloth. After a day I applied a wax finish which took 3x longer than applying polytrol. I have only awarded it 4 stars simply because the long term durability in my instance, hasn’t been determined yet. But I will be using it on a regular basis. Mahogany wood effect ten year old garage door was reduced to a pinky colour with the sun, absolutely amazed by the result and how easy it was to apply !! The door is like new, I keep going out to look at it, people even stop to look at it !! looked everywhere for a product that would help with very bad sun bleached UPVC coloured window frames, everything i looked at indicated new frames would be needed! found this product just trolling through the internet! read the reviews, bought a sample pot not a lot of money to waste if no good, but was well impressed fantastic product , would recommend, windows look like new. Used it to restore my faded wood effect garage door with excellent results. Surprised at how little I used. I still have most of the tin left so I’m now looking for other applications. Can definitely recommend this product. I saw this online. Despite being sceptical I decided to give it a go on my red composite front door which has had 10 years of south facing sun and extreme weather conditions. It was looking very lack lustre to say the least. I was excited but nervous to use it. No need!-an incredibly easy product to use with incredible instant results!!. White grainy streaks and dullness gone To be replaced by a rich shiny deep red colour. I’m so amazed I have to keep going out to look at it. So chuffed. Can you tell me polytrol team if I can apply this again to the same surface if it again fades in the future? We’re so pleased that you’re happy with the results obtained by using Polytrol. You can indeed use Polytrol again if the door becomes faded again so long as there are still sufficient pigments in the substrate. Essentially Polytrol is restoring the pigments so if the surface is very badly damaged it may not be successful but usually it is. We would anticipate you having similar results if you used it again in a few years. I bought this to use on a faded dark red composite door. Washed the front door down with sugar soap and painted it on once the door was dry. Took about 15 mins effort and the difference is amazing after just one coat. So much easier than sanding door down and then repainting. I would upload the photos if I could. Thanks for the great review, we’re so pleased you have enjoyed using Polytrol. We’d love to feature your photos on our blog if you wouldn’t mind. If you’re happy to could you please send them to sales@owatroluk.com . Polytrol is the elixir of life…for my mahogany upvc windows! We looked at replacing the windows as the sills had been bleached white by the sun. My wife then found this on the internet and because of the reviews we thought we would give it a try. Thank goodness we did…without exaggeration a miracle happened right in front of our eyes. Polytrol was extremely easy to apply with a sponge and it immediately returned our windows back to their original colour and lustre. You may think my comments are over the top but this really is one of the best products I have ever bought without a doubt. I read other people’s reviews on this item and thought it sounded just what I needed I thought I’d give it a go. Initially I thought I’ve spent too much on this product but in fairness it is worth it. I applied it too my 16 year old discovery to give it a new lease of life and it’s done just that.. that was one application 4 weeks ago and the black plastic trim looks just out of a show room.. really pleased. I had a pretty tough job for this stuff – a weathered grey roof box that’s been stored outside for some time. It had become patchy and mottled on top and i thought I’d try and restore the original colour. I cleaned first using owatrol as suggested, then after it dried I used the Polytrol to polish. It made a big improvement but some the more serious patches remained so not perfect. This is a good product but probably better suited to more uniform wear and tear rather than patchy damage. The mahogany coloured upvc window sills, at the front of my bungalow, had become white due to facing the direct sun light day in day out. I thought that I would have to replace the units, they were so bad. 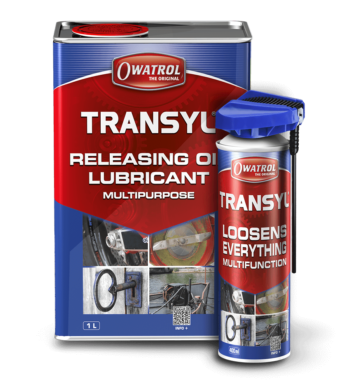 I happened to see Owatrol advertised on line and after reading the numerous reviews, all of which were very complimentary, I thought it worth a try. Thank goodness I did. 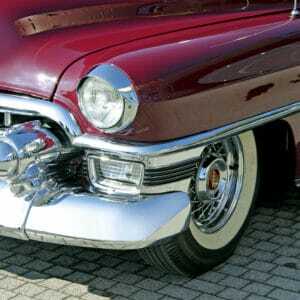 One application has restored the colour and surface like new! I’m so impressed that I’ve since given all the upvc fixtures a protective coat. 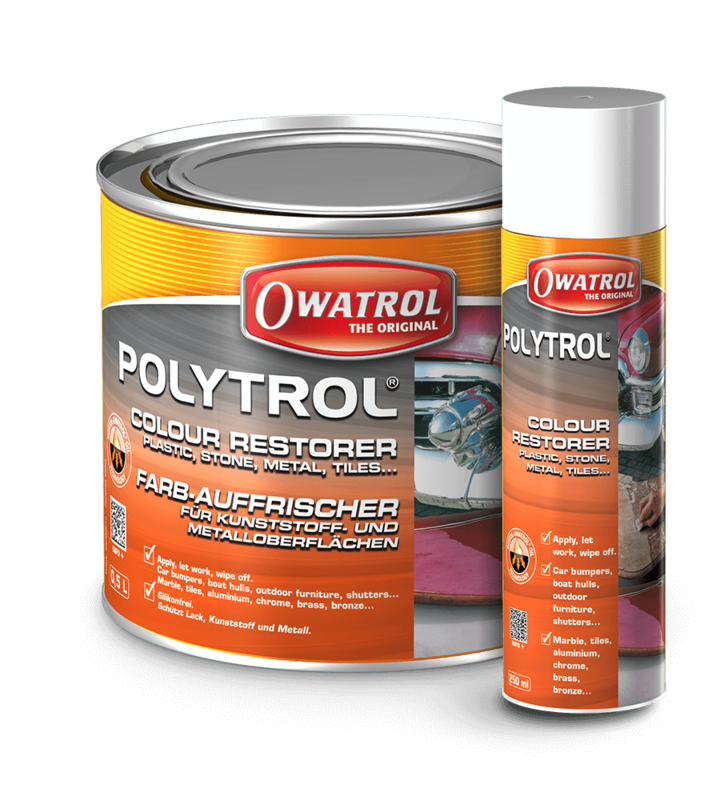 The product, Owatrol Polytrol was recommended for restoring some colour to some red plastic bathroom ware, in particular a bathroom cabinet and brush holder. Because of their position in the bathroom they come under direct sunlight for almost half the day. While re-vamping the room it was decided to keep these rather than replace, but they had become faded over the years. Regrettably the product made little difference, fortunately I only purchased the 100ml tin, so there was little lose financially. I followed the instructions to the letter, even to the point of trying to build up layers over a few days. We are sorry that you have had a negative experience using Polytrol. If your substrate is particularly badly damaged and the piogmentation has faded to such a point that it is not recoverable then it is possible that Polytrol will not be able to recover it. We always recommend purchasing a sample to treat first which it seems that you have done, we are sorry that it hasn’t worked for you on this occasion. We purchased polytrol to see if it would bring the paint finish back to what it was originally on our 57ft narrowboat. After previously spending hours on end of waxing previously, the boat never looked really shiny and was always left a bit chalky no matter what wax we used. I googled to try and find an alternative and came across polytrol. 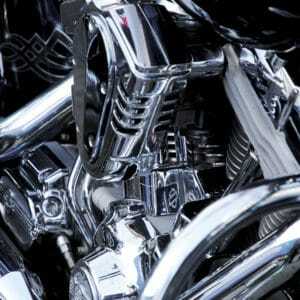 I e mailed their technical support team to check itvwas suitable for stainless steel and received a quick response. On ordering polytrol, delivery was very quick. 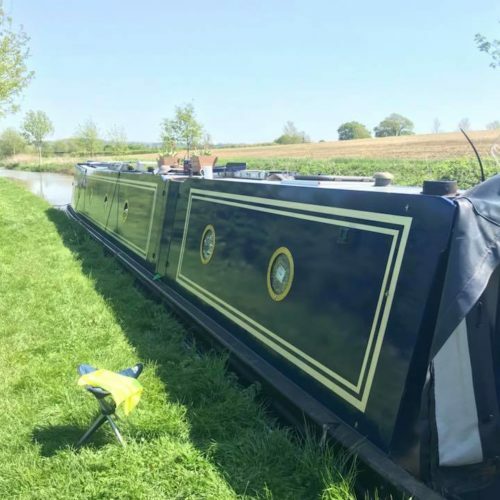 We waited for a dry day to get the job done..it was so easy to apply..no more hard rubbing and buffing we pre iously had with wax..and the boat looks amazing..I would definately recommend polytrol to other fellow boaters. This product has revitalised my frontdoor to uts originalcolour. If it hadnt worked I wasgoing to buy anew door so its saved me over £1000. Cant wait to find other uses for the rest ofthe tin. Great stuff. 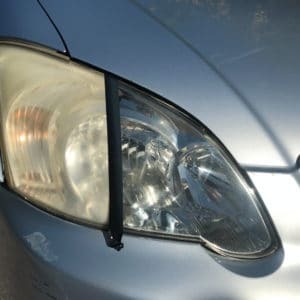 Works well on old faded car trim. Use on any colour. Expensive but you only need a little. Don’t use to thicker coat as it goes sticky. Then used it on badly faded dark brown plastic bumber and trim on a Volvo XC 70. So bad that my only other option was to paint them to match the body, hundreds of pounds. An hour with this and all the trims are looking fantastic. It has been on the car a fortnight, has been washed twice and still looks like its just been applied. In a nutshell, it works, buy it, you wont be disappointed. Used it on a South facing and fading red composite front door and side panel. I had a shinier than new finish in minutes with just a quick brushed flash coat. As the product dried I had to touch up a few areas where I hadn’t quite got enough on, but that was easy and didn’t cause any issues. The result was as other reviewers say, the door was as good as new. Unfortunately it now shows the letterplate and handle up so I’m going to have to polish them. As I was on a roll and with time to spare I tried some on some satin black plastic trim around my 308 spotlight. It had suffered from a scrape which I had T cut but this had left a light patch on the plastic. I applied a tiny amount on a soft cloth and a little rubbing in and the trim was as good as the other side. I cannot comment on how long the effects will last but it appears to be a sound surface. Absolutely brilliant product. 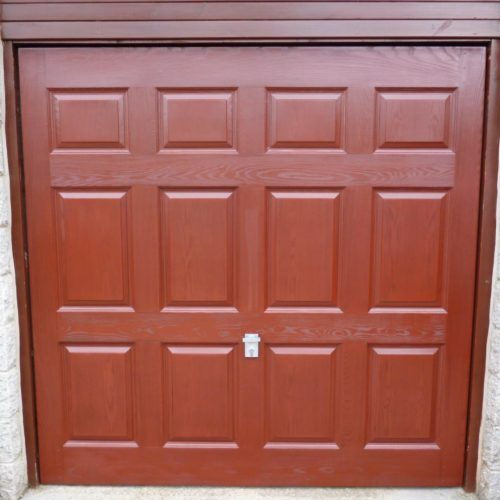 My garage door was very faded and dull and after one thin coat, it looks like new – many people have stopped and asked where I’ve got my ‘new’ garage door from. Can recommend it wholeheartedly. Easy to apply and has made a big difference to faded fibreglass garage doors. I applied Polytrol to a 16 year old garage door. It now looks brand new, it’s a brilliant finish. It’s only been applied about 1 month, if it continues to hold this depth of colour I will be thrilled. Excellent product. I used it on a GRP light wood effect garage door that had faded on the lower half. Restored the whole door with no difference at all between the two halves. Had been searching for something to restore faded look of PVC ‘mahogany’ windows. Came across Polytrol on google. Restored the original look immediately. Easy to apply. Can definitely recommend. 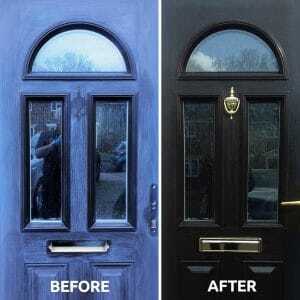 I came across Polytrol on the internet.I was looking for a product that would restore the colour on my badly faded UPVC coloured (blue) door. There was little mention of Polytrol being able to renew the colour of coloured UPVC Doors on the review section.I decided to purchase the trial tin and see how it went.The result have been amazing.The door looks as good as it did the day it was purchased.My wife and myself had been considering buying a new door as the door had become so badly faded.There is now no need.I accept that I may have to put another coat on to renew the colour at some stage.I decided to put this review in to help people like myself who are thinking of buying a new coloured UPVC door due to the fact that the door is so faded.Using Polytrol has saved me several hundred pounds and I can’t recommend the products enough. Excellent product, would certainly recommend it. Will see how it stands the test of time before I give 5 stars. I have UPVC mahogany windows and the sun has taken the colour out of the window sills. I have tried everything to make them look better. I tried this product in the spray form and it was very successful. My windowsills are like new. I recently came across Polytrol for use on my 25 year old fiberglass garage door and it sounded too good to be true but after speaking to sales I went ahead and bought direct including a hefty delivery charge as no one locally stocked this.It was very easy to apply with a brush and the results were better than I hoped for and it looks like new. I even coated other metal like a yard lamp and it has the same effect. I have plenty left over should I need it so anyone thinking about this should go ahead and you will not be disappointed. This stuff is amazing. I wasn’t convinced but thought it was worth a try before considering replacing the area we wanted to cover. 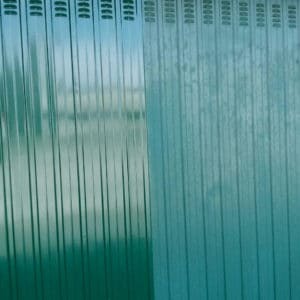 We had second hand decking installed on our static caravan and the slats were all sun bleached and faded. The polytron was almost magic, I took photos of an area we had done compared to the original and it was incredible! The decking is back to the brown colour it was originally. A small price to pay for what would gave cost £2k to replace. It also appears to withstand our dogs’ claws running across the decking. I bought this hoping that it would restore the colour to some old, faded, brown double glazed windows. I will be honest and say I didn’t hold out much hope. Boy was I wrong!! I could not believe the difference this made. I applied it using small amounts on clean rags, it was very easy to apply and a little went a long way. The window frames look fantastic now, gone is the sickly, dull pale brown appearance which has now been replaced by a deep, virtually origanal, lustrous brown. I will applying this all the windows now, it even bought the black trimmings on the car back to life! In short, believe what it says on the website, this stuff works!! Used Polytrol to refurbish two very faded mahogany effect fibreglass garage doors. Very quick to apply and gave a result possibly better than new. It goes a long way – I bought one litre and still have most of it left. I tried it on weathered brown uPVC guttering and it was good on that too. An excellent product. I’ve attached photos showing the three roller shutter garage doors before treatment with Polytrol and one photo of the the doors restored to their original colour and condition after treatment. The doors are a powder coated aluminium roller shutters and were installed in 1991. They are south facing and had faded badly with WD40 staining around the locks. We are delighted with the success of the treatment. They are now as good as new. A one litre can treated these 3 doors and my neighbour’s two garage doors. It also restored his faded brown guttering back to new condition. What a magic product. We never imagined that it would be so successful at such reasonable cost. Amazing. We have a rosewood coloured pvc electric garage door that was looking decidedly “off colour”. Looked for solutions to bring back the colour on the Internet and Polytrol came up. Decided to try it and we are so glad we did. The garage door now looks as good as new. Intend to try it next on faded metal surround on patio table. A great product that i used on guttering, wood effect pvc windows and doors and painted gates, a really great result! 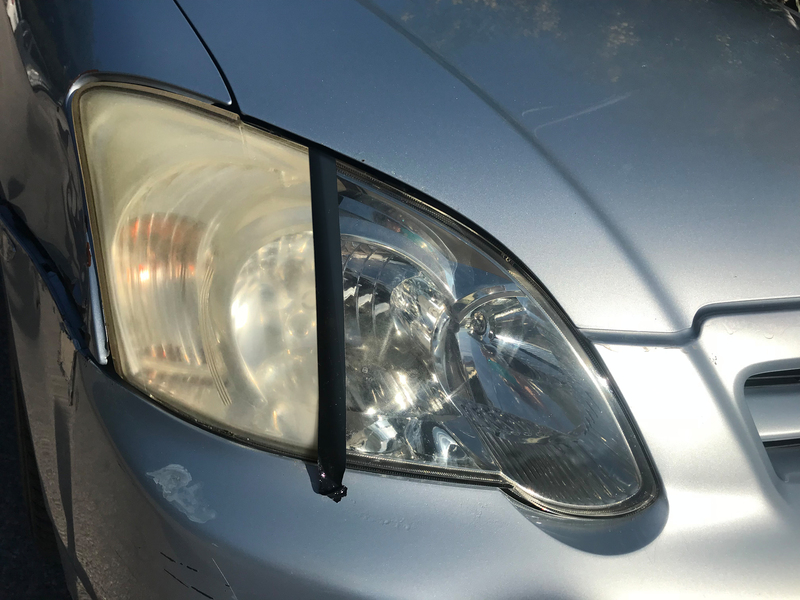 Another great result on the black plastic trim parts of my wifes BMW car which had become light grey around the side mirrors and bumper parts. 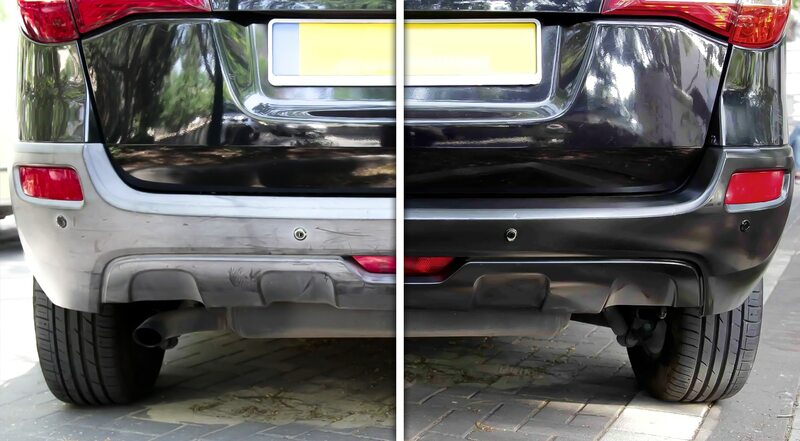 Owatrol Polytrol has transformed her car and it lasts unlike the usual silicone sprays and gels that stop working after a few weeks, this product is not a coating so it really does bring plastic back to life. Brilliant! A truly outstanding product. I’ve just finished treating my dull and badly faded garage door – it had had nothing more than a wipe down in 18 years – and the results have surpassed my expectations. The door is now back to its dark oak colour, with a lovely sheen. Scrubbed it down yesterday, and applied the Polytrol this morning. Very quick and easy to use, I just followed the instructions on the tin. It took about 45 minutes! Can’t recommend this product highly enough; if only all DIY jobs were this simple! Used it on GRP garage door, which was well faded with age. Transformation is marvellous, really does look like new. Easy to apply, delivery was excellent, really pleased with result. Would recommend it unreservedly. used this product to restore the “Black” on all my campervan bumpers and plastic surrounds, brought them up like new. This door is in full sun and the colour was very faded, a white bloom had developed on the lower half of the front door. And hey presto , you have back the door, as good as new again. So do it, it works don’t wait it is easy and quick. My static caravan is UPVC clad and over the years two sides have faded badly, due to the orientation in relation to the sun. I have looked at all types of product to bring back the colour and this is the first I have seen that doesn’t coat the surface like a polish or varnish, but enhances the colour pigment. I even had other owners queing up to ask what the product was and where to buy it. I am truly and utterly amazed at the transformation. Over a month now since the treatment and still perfect. 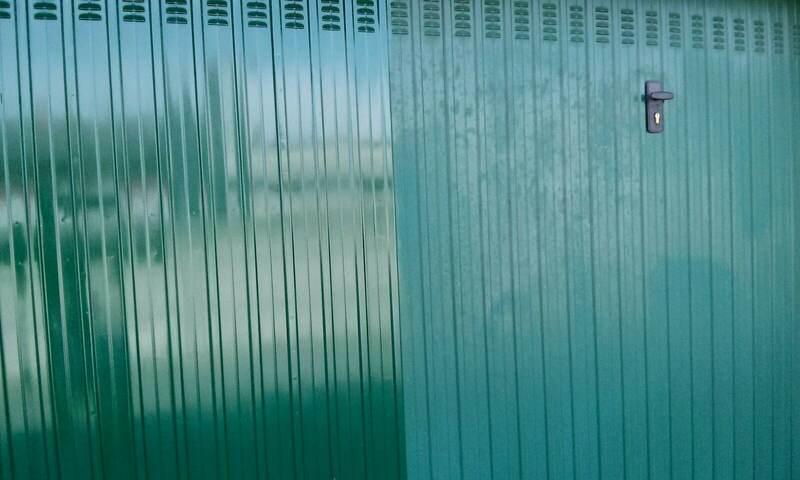 I used your product on my Metal Garage door which was badly stained, I had tried other products to remove the discolouration but without success. The Owatrol returned the Door to it’s original colour and lustre and has completely refurbished it. It is now like new! I was a bit apprehensive about the Owatrol Polytrol. I completely washed down my GRP garage door on Saturday evening. The following evening I went out armed with the tin, a brush and a clean microfibre cloth and off I went. OMG the stuff is amazing the whole thing took me about half hour. I had to keep going out and checking the door to make sure that nothing had gone wrong. 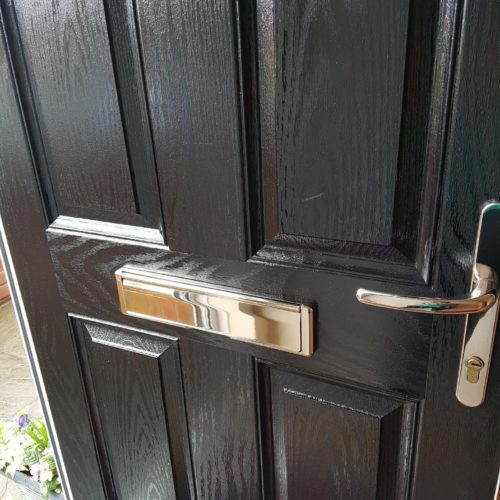 This morning I went out and the door looks absolutely fabulous – it looks as good as when it was first fitted. Thanks a lot for a wonderful product. We’re pleased that you are so happy with the results and we’d love to feature your project as a case study if you’d be happy to send us your before and after picture. Thought I would give this a try as my fibreglass wood effect garage door was looking very faded and sad! What a difference, the door looks like new. I wish I had taken a before and after picture as the improvement is so great it looks like I have a brand new door and it was easy to apply. The only reason I have not given it 5 stars is that the cost of the product with postage is a bit expensive but I am a bit tight! Brown upvc door had faded due to sun damage but this product did an amazing job and the door looks like new. Saved hundreds of pounds by not purchasing a new door. An amazing product and very happy that i purchased a tin. Our red composite front door was looking very tired with white streaks in the grain pattern across the bottom panel and all the way up the centre of the door and around the glass panels. 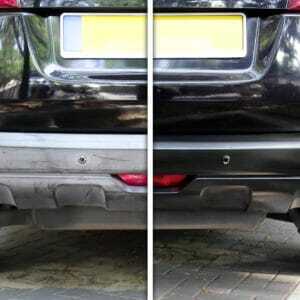 I tried numerous different cleaners and a car colour restorer all with no improvement. 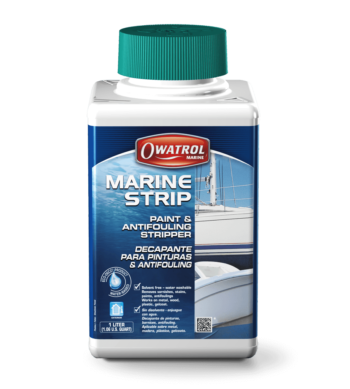 I found Owatrol Polytrol with an internet search for a solution and ordered some as a last resort and am really glad I did. After little more than half an hour, around 50ml of Polytrol and a little elbow grease our door was looking as good as new. What a relief! Looked this up on the Internet and I’m glad I did. Was going down the paint side of bringing my garage doors back to life. They were dull with the sun and look awful. My neighbour went down the paint option and looked the way forward. Once I found this online it was ordered and arrived in a day or so. It takes no time at all to apply and my doors look like new! I had a rather weathered looking fibreglass garage door. It had faded and lost all of its shine. After a bit of googling I came across Polytrol, looked good, ordered the 0.5 ltr pot which was ample. Applied as per the instructions and was surprised by how well the colour has returned to the garage door. What was an added bonus is that it does not mentioned fibreglass on the tin but did a superb job. I despaired that after 5 years of having a composite front door fitted on a new porch the black finish had lost it’s sheen due to sun damage and turned to a faded matt colour. I asked my decorator for advice but he couldn’t offer any tried and tested solution. So I researched ways in which to restore it but nothing was coming up…. 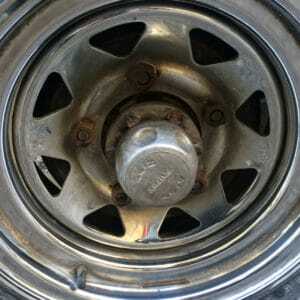 until I came across this site and the product Owatrol Polytrol. I had nothing to lose and finally tried it out and with amazing results!!! I used a cloth, rather than a brush, to apply the oily fluid. Rubbed it into the surface not just over it, and 24 hours later after drying out, the door looked like a new door – Hallelujah! So pleased with the result. This is amazing. Our composite oak coloured front door gets all the weather and was faded and flaky. We didn’t know how to deal with it but after searching the Internet found Polytrol. It seemed a bit pricey but cheaper than a new door so decided to give it a go. So glad we did – the door looks great, especially with a new letterbox. It’s not perfect but more than acceptable. Inspired by this success the black, iron outside wall lamp was treated, then the bird feeding station, the cars black trim and the boot scraper. We found ourselves looking around for other things to restore and the best thing is that you only need one product for so many different surfaces. Outstanding product, although it remains to be seen as to how long it will last before re-treatment is needed. Bought it to restore tired paintwork on my narrowboat and the results were excellent. Then tried it on a my GRP garage door which had faded, with startlingly good results. The best job I have done with the least amount of effort I followed instructions to a T my garage door looks like it’s been replaced . We’d love to feature your photos – if you’re happy to share then please do send them to sales@owatroluk.com. My motorhome interior is now like new. This is a wonderful product. I’m very pleased with Polytrol spray, I used it to restore the colour on my sun faded composite door. So far I’ve used only one coat and the door looks really good, it was very easy to apply. Great product. My brown GRP front door has been blasted by the sun for the last 11 years. It was fading and looking dreadful. I used Polytrol as per the directions and, literally, it looks like new. It was actually easier to apply than the instructions suggested. I have since applied it to all my brown plastic windows and it they too are looking like new. I am not sure how long the improvement will last but so far the results have been brilliant. I tried loads of stuff that didn’t work – this does. Very pleased with the result. My door looked very bad and has been restored with 2 coats. I highly recommend this product, the frames and sills on my holiday home were looking very tired and neglected. With one coat of Polytrol they look like new am very pleased with result. Delivery was quick and well packed can’t fault Company or product. I’d given up thinking that I could restore two fibre-glass wood effect garage doors, one of which was particularly faded, but thought that this product was worth a “last ditch” try. The result of the first coat was impressive, but after two coats on one and three on the other, they really are “as new”. Time will tell if they weather quickly, but I’m quite happy to give them a quick coat once a year if they look this good. Excellent product. You need to see it to believe how good this produce is. Amazing result on a very weathered, 20 year old garage door which now looks like new. Fantastic product expensive but faded garage doors that had been subject to the sun for 10 years. Brought back to looking like when they were first installed. Great product. Used on my GRP Composite Rosewood front door that had been badly sun damaged. Easy to apply and results are excellent. This product has saved me a lot of money as I thought I would have to replace my door as it looked very bad with almost white patches on it. Door now looks like new. Very pleased I found Polytrol. I used this to bring a tired looking GRP garage door back to life. The result after one coat was very good. So much so my neighbour thought we actually had our door replaced with a new door. Just make sure you prepare the door well by using an All Purpose Cleaner first. We had a faded, wood effect, glass fibre garage door. It is one of a pair, but only one is subjected to strong sunlight. 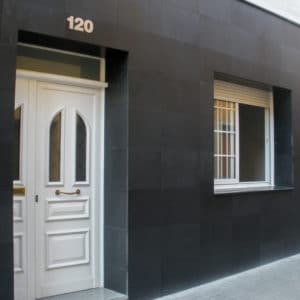 We were apprehensive about buying the Polytrol, especially since the delivery charge is relatively high, however, after using the product, the garage door is no longer faded and matches the other door, which was not subjected to direct strong sunlight. Surprised and pleased with the result. The Polytol was delivered the next day, after the online order, the tin was well wrapped in bubble-wrap inside a cardboard box. Just used on wood effect fibreglass garage door installed 21 years ago, that has had no more than occasional washing and had become very sunlight bleached and faded. After a good wash the day before it took 40 minutes to treat and polish; results are startling… almost as good as it looked when I first installed the door. A stunning product; now getting ready to use on my wood effect window frames!! My GRP garage doors had faded over the years and looked quite dismal but after a single coat of Owatrol Polytrol they look brilliant and the colour has been revived to a lovely rich colour. Wish I had found out about this product earlier. Highly recommended. Delivery very quick and updates by email. I under this product on the painted panels on a steel narrowboat with dull paint. This results where absolutely fantastic – looked like new. I would have no hesitation in recommending this product for similar use. I’m a decorator, I was asked by a customer if there was something I could do to make her faded, wood effect plastic garage door look better, it was a pinky/ orange colour. I suggested trying this product. The end result was amazing it looks like new. Since then I have done two more garage doors for her neighbours and had other people ask. My rating may be somewhat unfair but does reflect the outcome. This was a last ditch attempt to rescue a patchy faded composite door I suspect our problem was made worse because of a lacquer finish that has deteriorated to varying degrees across the door. Although have tried to remove the lacquer it still leave a colour patchy outcome. 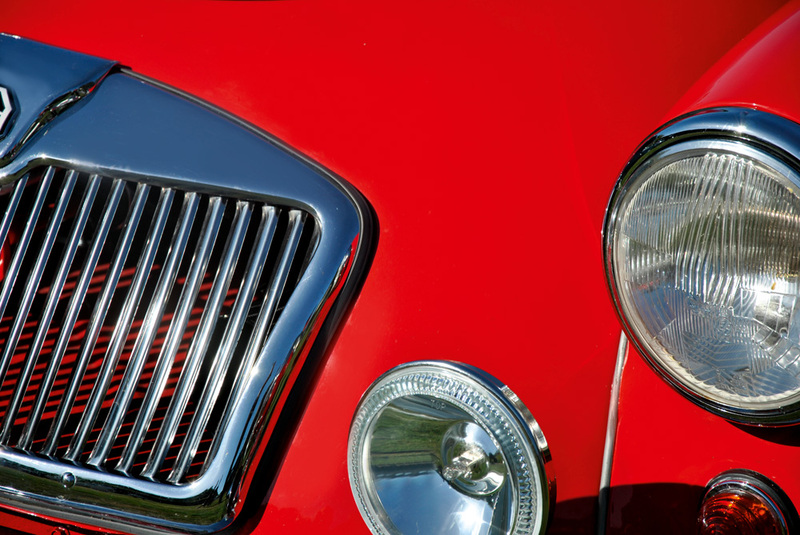 Convinces me I need to look to a respray solution – worth a try though. Having searched for products to restore my wood effect GRP doors, it looked like the only way to do so might be applying a new gel coat which would have been a long complicated job requiring removal of the doors. I stumbled on this product after almost giving up hope of finding anything suitable and I have to admit I was sceptical about the results other reviews claimed. However I thought that lacking any other ideas it was worth a try and I can fully endorse all the other reviews – the results are amazing considering there were previously large dull, almost white patches over the doors. After a single, effortless application the colour is restored and the doors now have an attractive water repellent sheen. What a pity this product is not more widely known in the UK. Excellent product & both deliveries arrived really quickly. We had a very faded brown pvc deck – which has come up beautifully and given it extra life. Really impressed – and the local decking company was so surprised we’d found a solution, they will probably be ringing you up too! 25 year old fibreglass garage(mahogany) door looks nearly in its original state. Excellent product – highly recommend. I am very impressed with this product! I have to say I was a bit doubtful about the likely outcome when I read the reviews, having tried lots of other products from other manufacturers for restoring the colour to my faded GRP dingy hull, but this really is very good stuff! 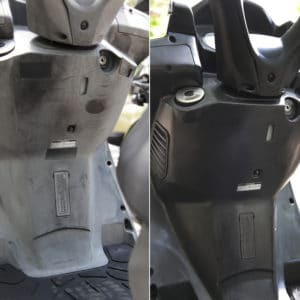 – I simply rubbed it in with a rolled up cloth – I gave it a couple of generous coats and rubbed it over with a polishing cloth before it completely dried (if it dried too quickly I just put some more on and buffed it up again). Some parts which had even faded almost to grey, are now a lovely rich purple (its an old Laser 2000) and it looks almost new. I may have to top it up a bit, but it’s so easy, I don’t mind at all. I am more than happy with Owatrol Polytrol, I am delighted. My garage door has now had two coats of Polytrol and looks as good as when it was fitted fifteen years ago. 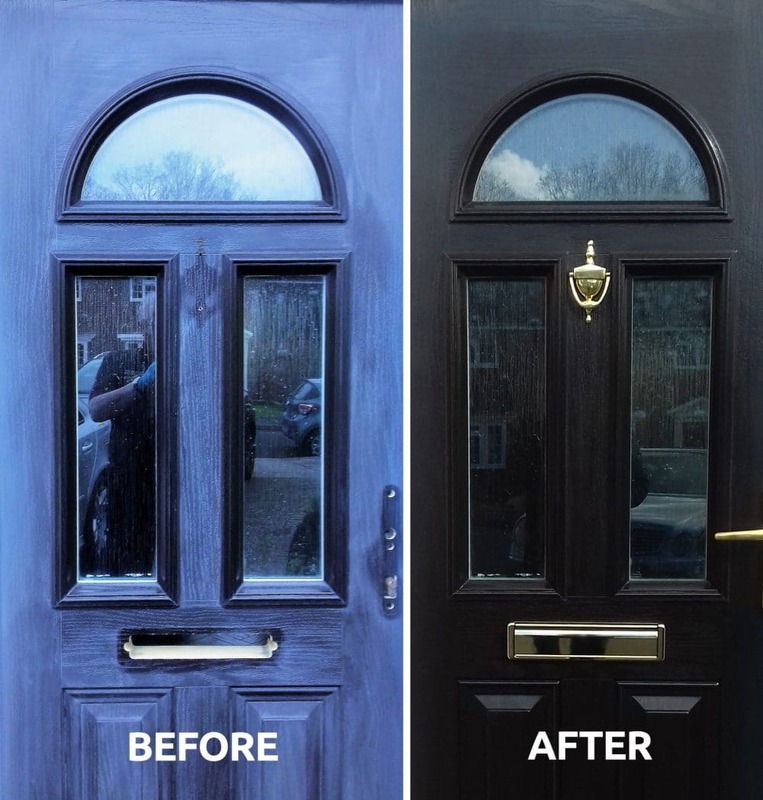 In the past fifteen years the door has never been treated with any other product and to get these results is just amazing, just wish I’d known about this product a few years ago! Just got round to reading the October issue of Practical Boat Owner Magazine. In it under ask the experts there is a question about reviving a faded gel coat. 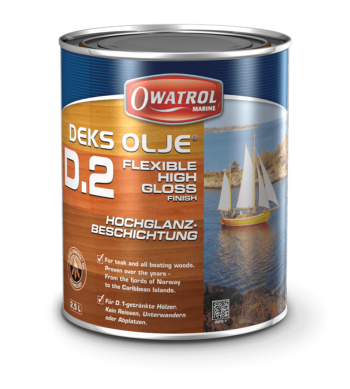 My trailer/sailer had a faded gel coat but rather than spend loads of time sanding down, I bought Owatrol Polytrol. You just rub it on and hey presto the faded gel coat comes back to life. Definitely worth the money – try it! This coverage indication is only a guide and actual coverage is dependent on surface type, age, porosity etc. Read the full technical information including MSDS for Polytrol on our corporate website.